Pho Pasteur Takeaway joined our Mission to help provide access to “Clean Water for All by 2030”. This Mission was initiated by the United Nations. A big thank you to Pho Pasteur Takeaway’s team and customers for joining this extremely important mission on 21 November 2017. "In a word the food is "stunning". Vietnamese food is a personal favorite. I was very impressed by quality and taste usually only found in the heart of Cabramatta or Bankstown. More than a fresh coat of paint, this is a fresh start with a fresh menu of fresh food breathing life into a tired grimy restaurant location that had closed after trading on the promise of Vietnamese with Chinese delivery. The new owners bring the authenticity of a traditional Vietnamese menu and some favorites that was sadly lacking at this location. 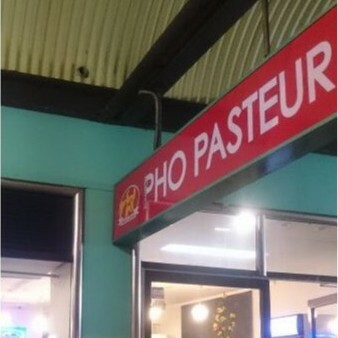 Pho Pasteur brings Cabramatta to Parramatta with their winning formula of consistent quality that has made their other restaurants so successful. This restaurant will undoubtedly becomes a Parramatta favorite. Forget the old joint.. its dead; Long live Pho Pateur !!! This food is on another level."